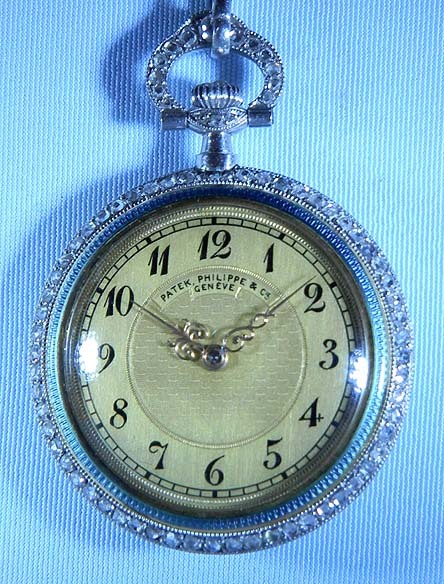 Fine and beautiful Patek Philippe 18K gold, platinum, diamond and enamel ladies antique pendant watch with matching chain circa 1910. 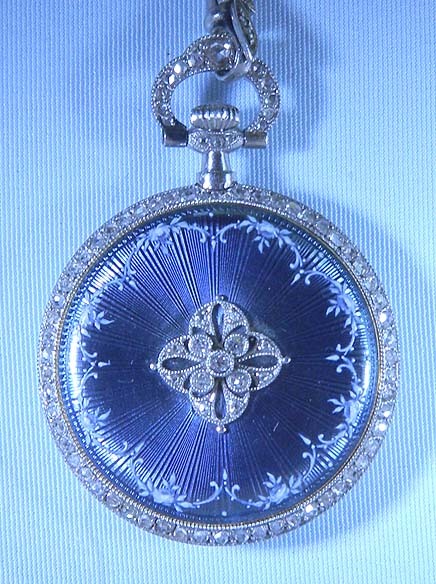 The case back in lavender-blue enamel over engine turning with diamond central design. 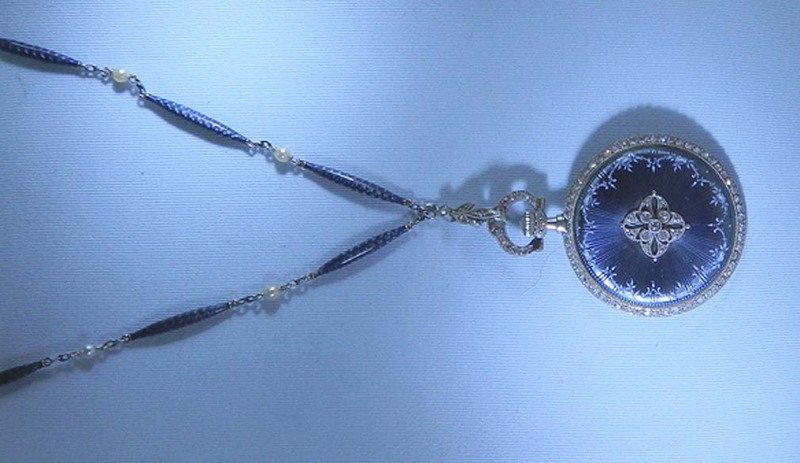 Diamond bezels, pendant and bow. 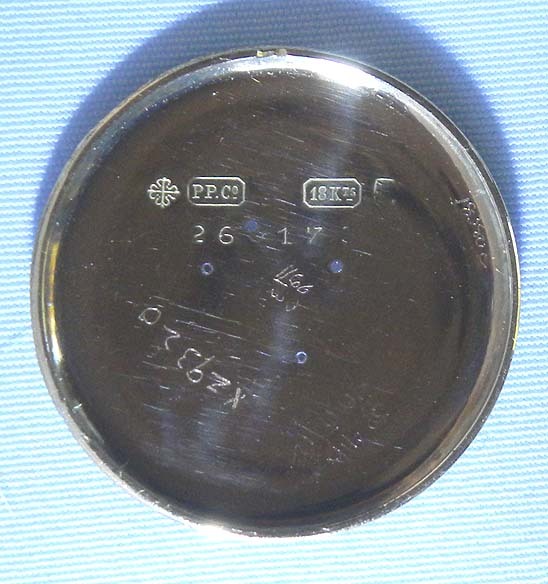 Original gold dial with black markings and fancy gold hands. 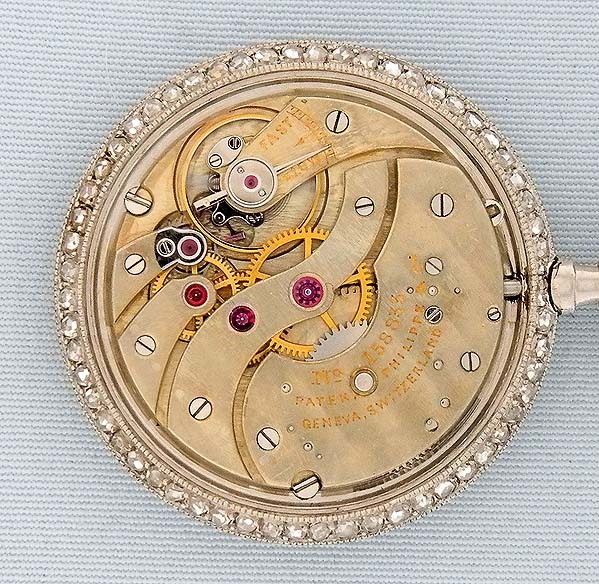 Nickel 18 jewel movement. Matching 18 inch long chain. In particularly fine condition throughout.